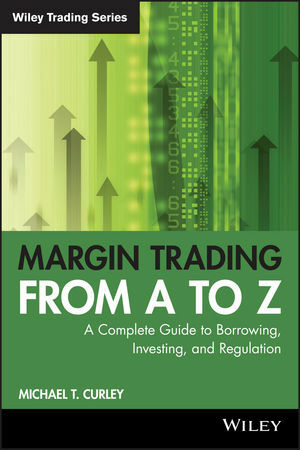 Margin Trading from A to Z offers a step-by-step explanation of the mechanics of the margin account. Filled with in-depth insights and expert advice, this book uses a hands-on approach to show how a Regulation T Margin Call is arrived at; how it may be answered; and how an account looks once a call is issued and after the call is met. Other items covered by this detailed guide include minimum maintenance requirements, short selling, memorandum accounts, options, hedge funds, and portfolio margining. The book includes quiz questions and a comprehensive exam. MICHAEL T. CURLEY has fifty years of experience in the field of finance, including fifteen years in the banking industry and fifteen years in the brokerage industry. He has attained experience as a manager of operations at Citibank, as a vice president of operations at both State Street and Hartford Trust Company of New York, and from work in the Division of Compliance, Finance, and Margin at the New York Stock Exchange. Since 1987, Curley has been a full-time financial trainer and consultant. He currently teaches at the New York Institute of Finance and at the Securities Operations Forum.